5. URL disguised as text "click here".
" 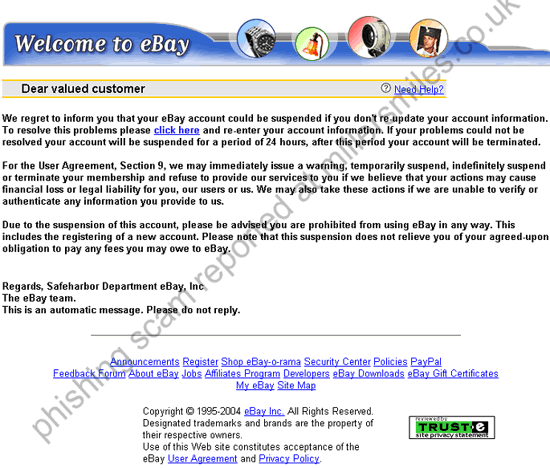 We regret to inform you that your eBay account could be suspended if you don't re-update your account information."